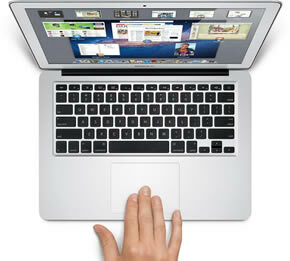 Apple was reportedly close to producing a MacBook Air powered by an AMD Fusion APU. Cupertino even had a working prototype on hand but ultimately canceled the idea last spring, according to SemiAccurate. Apple was interested in a low power Llano based MacBook Air for the powerful graphics. The system would have lost a little CPU power but the GPU would have been many times faster. But as we know, Apple once again went with an Intel solution – the only question is, why? As it turns out, AMD wasn’t able to produce enough supply to meet Apple’s high demand. According to multiple sources, SemiAccurate says that even if the deal had panned out, AMD would likely have had to preferentially shift supply, giving Apple more and everyone else less. That, of course, wouldn’t sit well with everyone else left out in the cold. The underlying story here is that earlier this year, Intel was reportedly happy that Apple had chosen them over ARM-based processors moving forward. It seems now that Apple didn’t exactly choose Intel and ARM wasn’t even in the picture. AMD dropped the ball and Apple went with Intel as a backup plan. As the story goes, ARM CPUs are still in the plans once the 64-bit chips are ready but that could be some time from now. Earlier this year Apple refreshed the MacBook Air lineup by adding Sandy Bridge processors, Thunderbolt connectivity and a backlit keyboard on all models.